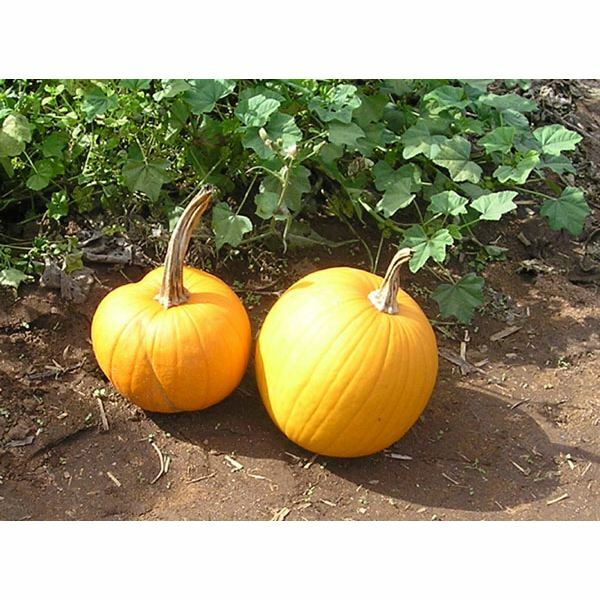 Objective: Students will use pumpkin patch reference photos to create paintings with an emphasis on composition, bold shapes, and contrasting lights and shadows. Step One: Introduce students to reference photos (in color) taken at a pumpkin patch. Photos should feature strong, warm light and cool, deep shadows. Ask students to identify basic shapes, source of light, and resulting shadows in the photo. If students are not familiar with core shadows (shadows on round objects), do a quick demonstration of core shadowing on the board (see image at right). Ask students to look closely at the lights and shadows on objects and the ground and identify colors they see in the lights and shadows. Students should be able to see gold and orange tones in the light (warm light) and blue or indigo tones in the shadows (cool shadows). If needed, use a color wheel to help students identify warm and cool colors they see in the photos. Step Two: Using a reference photo with a simple composition, teacher will make a simple sketch to demonstrate shapes, lights and shadows. 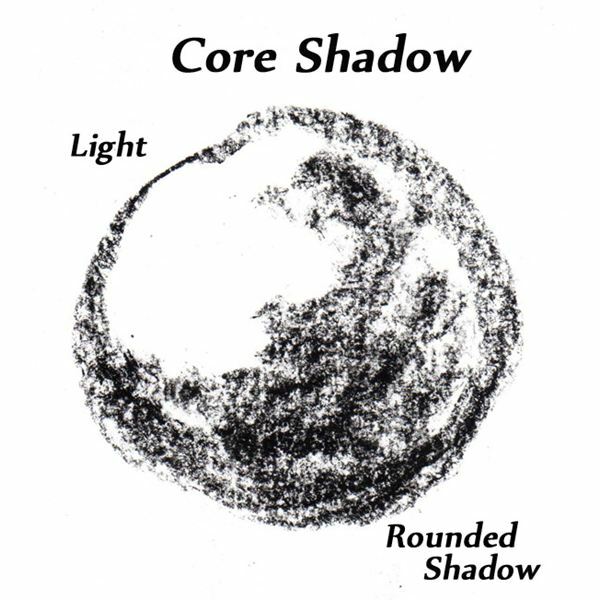 If students are not familiar with creating core shadows (shadows on round objects), teacher should quickly demonstrate how to make core shadows so that students feel comfortable shading their pumpkins. After making a basic sketch, teacher will fill in lights and shadows with the pastel, using gold and orange tones for light and blue or indigo tones for shadow. Step Three: Allow students to choose from copies of reference photos (black and white copies will make it easier to identify light and shadow). After students have taped paper to their boards, they will begin sketching in their compositions with a neutral color pastel. Students may then being working in their darkest shadows and brightest lights, leaving middle value tones for the end. Teacher should encourage students to emphasize the contrast in light and shadow by using bright golden lights and deep blue darks. Students should also spend some time working with the core shadows on their pumpkins to make them look rounded and full. Step Four: Ask students to display their paintings by taping them up on the board or walls, along with the reference photos. Then lead a discussion with students about the differences they see between the paintings and reference photos. Students should discuss the role color plays in creating contrasting light and shadow, and how the warm light and cool shadow contributes to the overall tone of the painting. Step Five: Give students additional time to bring paintings to completion, blending pastel and adding details as they wish. Students may add additional colors to the painting but should keep them to a minimum, allowing the basic light and shadow color scheme to dominate the piece. Assessment: Give students points based on how well they followed directions (using gold and orange tones for lights and blue and indigo tone for darks, developing core shadows on the pumpkins). Optional Extension: If possible, take students to paint outdoors at a pumpkin patch, or set up pumpkin and hay displays outside the classroom so that students can see the difference in painting real life light and shadows compared to painting from reference photos.